Imbizo Health was founded in 2003. We partner and work with specialist disease management companies, medical aids, corporates which run in house wellness programs and/or have inhouse clinics, doctors and pharmacies. 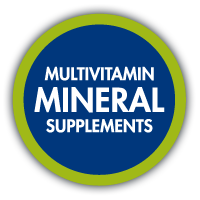 Focusing on micronutrient supplementation we work with these companies to assist them to achieve their objectives around assisting to improve and support the immune systems of their patients especially those who are immune compromised, so that their overall health and productivity improves. Our products are designed for all people, to enhance overall health, wellness, energy and vitality and assist the body in fighting off colds, flu and other opportunistic infections - Complivite and Complete Immune. We have worked to ensure that Complete Immune and Complivite are both affordable products and should be in the region of R100 for a one month supply.